Picnic Spot at Top Withens01535 642329work Picnic SiteThe dramatic location of Haworth Moor is the perfect location for Top Withens. Top Withens is a ruined farmhouse near Haworth, West Yorkshire which is said to have been the inspiration for Wuthering Heights the novel by Emily Brontë. 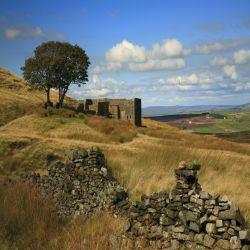 Top Withens is perfect to enjoy a picnic with all the family during the summer months.